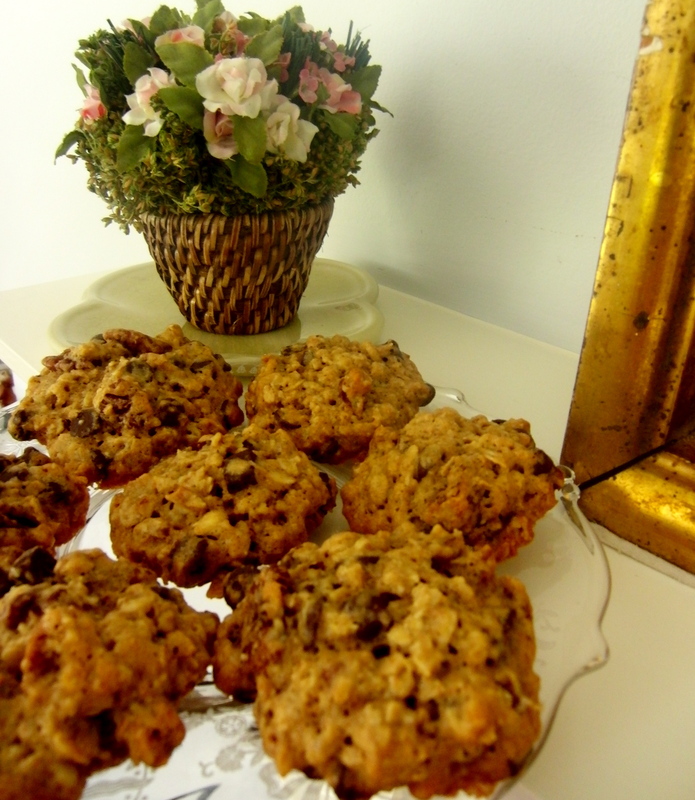 Chocolate Chip Apricot Oatmeal Cookies. The more the merrier in this crunchy, crispy, chewy cookie. Recipe: Preheat the oven to 350 degrees. Line two baking sheets with parchment paper. Give the toasted pecans a rough chop. 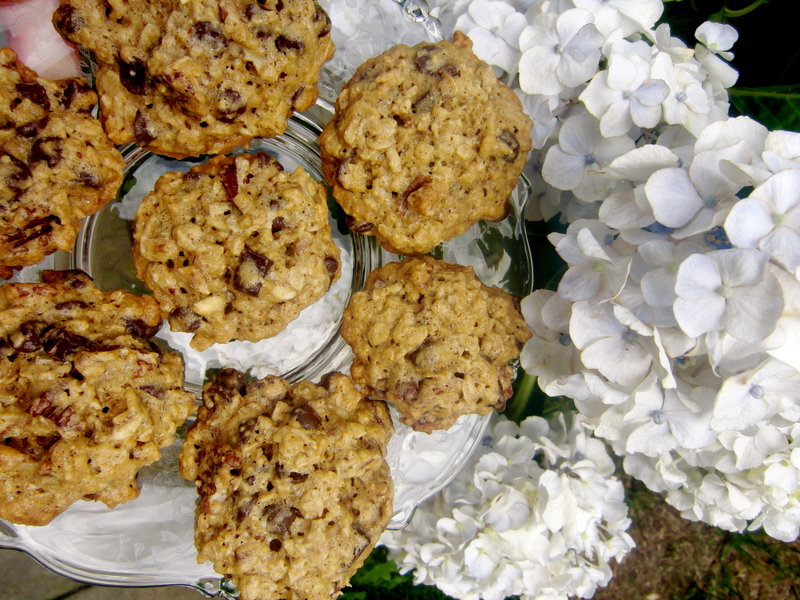 In a small bowl, whisk together the oats, flours, baking soda, and salt. In the bowl of an electric mixer fitted with the whisk attachment, beat the butter and sugar at medium speed until light. Break the eggs into a separate bowl to ensure that no shell gets into the mixture, then add the eggs to the butter mixture. Add the vanilla and beat until combined. Slowly incorporate the flour mixture. 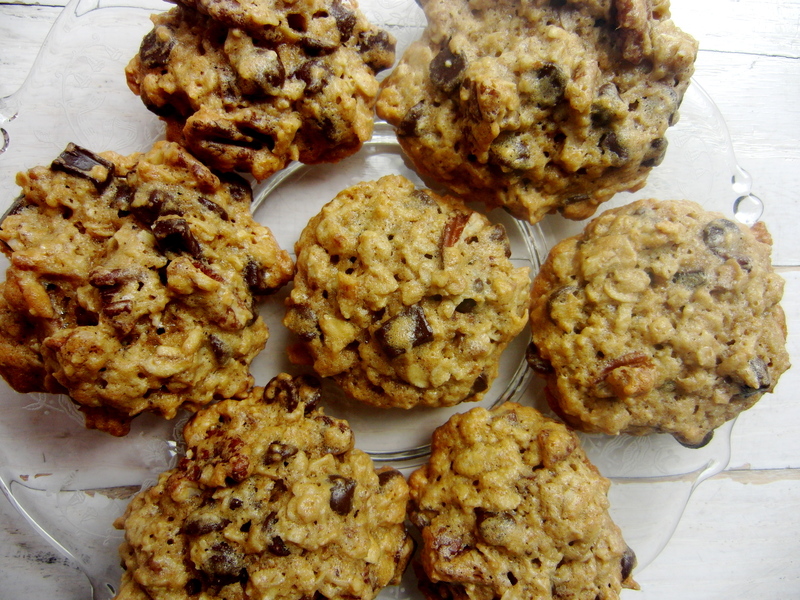 When the ingredients are evenly incorporated, mix in the pecans, chocolate chips and carob chips, and the dried apricots. Spoon tablespoonfuls of dough onto the prepared baking sheets and bake for about 17 minutes or until golden. Cool the cookies on the baking sheets for a few minutes before transferring them to a rack to cool completely.